Phase Two of the Monticello Connectivity research project is underway. 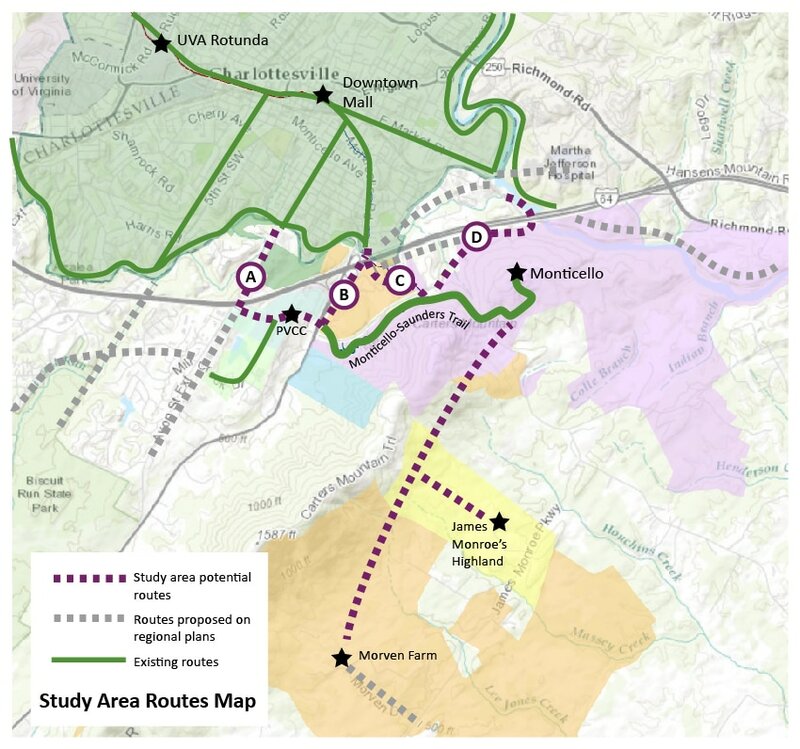 Five Masters students1 from University of Virginia’s department of Urban and Environmental Planning are studying the feasibility of a pedestrian and bicycle trail to Monticello, James Monroe's Highland and more. 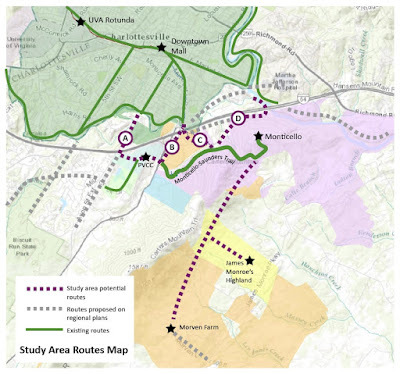 The regional Thomas Jefferson Planning District Commission (TJPDC) is sponsoring the study in cooperation with the Thomas Jefferson Foundation as part of its Jefferson Area Bike and Pedestrian Plan. The report to be completed in the Spring of 2017 will examine the Saunders Monticello Trail, possible connection routes, impacts, opportunities and identify resources and case studies. 1. Graduate students Maura Harris, Caroline Herre, Peter Krebs, Joel Lehman and Julie Murphy.